Electric hot pots are essential appliances for anyone with limited space or limited time. They efficiently boil water without the use of an open flame or exposed heating element, which makes them a must-have for any college student looking for some midnight macaroni after the cafeteria has closed. They're quick, easy and self-contained, and with proper care one can last you for a long while. Hot pot maintenance is simple. Regular cleaning can keep your appliance boiling for a long time. Rinse the hot pot under running water and remove any excess food particles. Pour a small amount of dish soap into the hot pot. Don't be overzealous. Too much will result in a sudsy mess. Use the sponge to gently scrub away any debris. Rinse the hot pot thoroughly, removing all dish soap and food particles. Towel dry the appliance, then allow it to air-dry completely before your next use. Allowing water to sit in your hot pot may cause it to rust, so it is important to towel away any excess moisture. Leaving time for it to air-dry ensures that the electrical components have dried out before your next use. A few brands of hot pots are dishwasher safe. Read the manufacturers instructions to determine if you can machine-wash your device, but do not assume that you can do so. 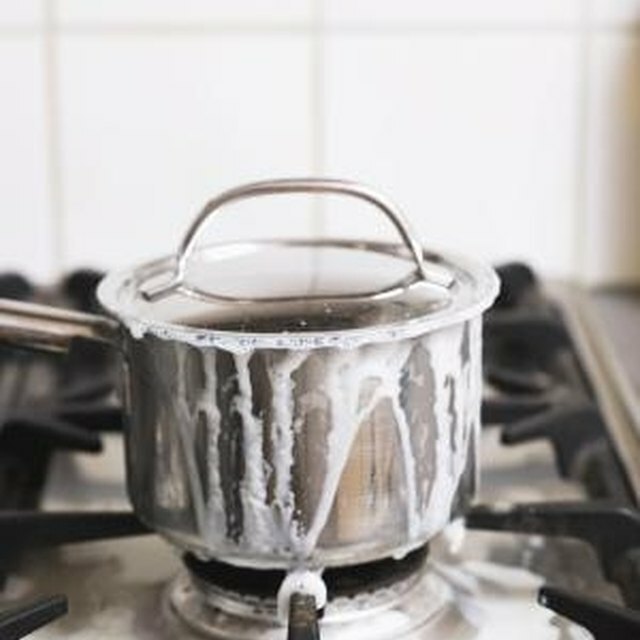 Many hot pots have nonstick surfaces, so it is best to avoid using highly abrasive materials such as steel wool to try to remove heavy grease. Instead, fill the device with soapy water and allow the inside to soak before attempting to clean it more thoroughly. Hot pots are electrical appliances. Do not submerge them or attempt to wash them while they are still plugged into the wall. This will result in electrocution. If you only use your hot pot to boil water and do not actually cook in it, it is not necessary to wash it after every use, however if you prepare any food in it you should wash it often. This will prevent the spread of molds and disease.